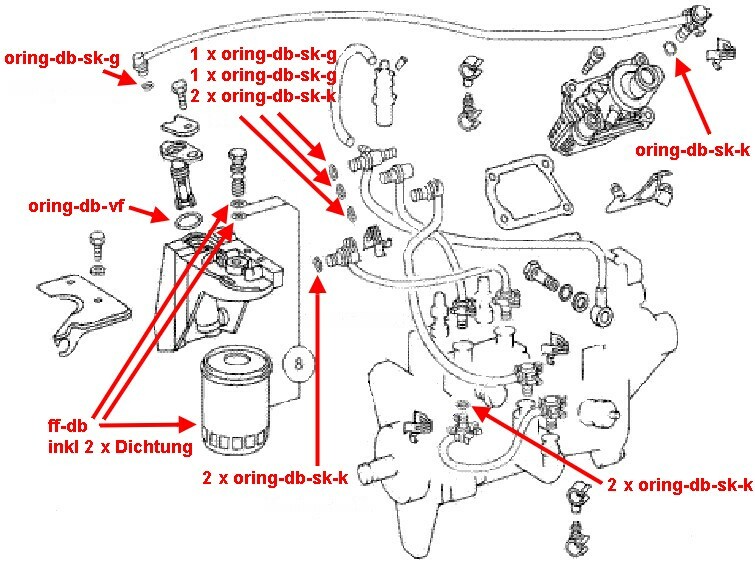 This o-ring is part of the plug-in connectors in the fuel system of W124 (4-valve after '93), W210,etc. The standard o-ring made of NBR does not fullfill the special requirements of veggie oil use. Typically a defect or-ring results in air intake in the fuel system. Our o-rings made of Viton are the final solution for that problem. Changing of the o-rings does not require special tools. You need 5-10 small o-rings and 2-5 big Viton o-rings per vehicle.